SA_Bosch_30 .mov from Sam Allen Productions,Inc. on Vimeo. SA_SubZeroWolf_30 REV2 from Sam Allen Productions,Inc. on Vimeo. Didn't Think Twice - Leslie Tom from Sam Allen Productions,Inc. on Vimeo. I was the DP/Cameraman on this great production for the veterans of our country. Thanks to Jim Phelan ( my Director/Cinematographer ) and singer/song writer Leslie Tom for letting me be part of your vision! 4K Inspire 1 winter/summer mix. This video is a 4K Inspire 1 demo with high and low level flights here in Colorado. 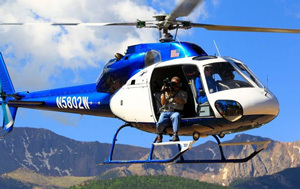 Mike_Wiegele_Helicopter_Safety_Video_2015 from Sam Allen Productions,Inc. on Vimeo. Helicopter Safety Video shot with Citizen Pictures and CEO Frank Matson. Thanks to the editors and post production people at Citizen Pictures. Time-Lapse Fall Colors TC Oct 2015 from Sam Allen Productions,Inc. on Vimeo. Time-Lapse Old Barn TC Oct 2015 from Sam Allen Productions,Inc. on Vimeo. Time-Lapse of old barn in northern Michigan during fall colors 2015. Cordillera 4 Seasons from Sam Allen Productions,Inc. on Vimeo. Another great shoot in Colorado with Robin Bond Media. This production was shot on a Canon Super Sensor C300 and a Canon Super Sensor Mark II. Fireworks from Sam Allen Productions,Inc. on Vimeo. Time-Lapse fireworks in Denver on the 4th of July, 2013. Footage shot with Super Sensor 5D Mark II camera. Behind The Scenes at DDD from Sam Allen Productions,Inc. on Vimeo. Behind The Scenes at DDD. A two day behind the scenes shoot with Citizen Pictures shot with Canon Super Sensor C300 and Canon Super Sensor 5D Mark II cameras. This was a great shoot with Citizen Pictures CEO Frank Matson and Producer Tim McOsker. NAVSCIATTS from Sam Allen Productions,Inc. on Vimeo. DP/Cameraman with Robin Bond Media at The Stennis Space Center. partner nations in Small Craft Operations in river and coastal environments. Photos by Ron Patrick at What’s Up. Cordillera Summer Video from Sam Allen Productions,Inc. on Vimeo. DP/Cameraman on a Marketing Video for Cordillera just west of Vail Colorado shot on The Canon Super Sensor C300 and Canon Super Sensor 5D Mark II. Produced in association with Robin Bond Media. See more information on What’s Up. Time-Lapse Sunrise Cordillera Sept 16th 2013 from Sam Allen Productions,Inc. on Vimeo. DP/Cameraman on a Marketing Video for Cordillera just west of Vail Colorado shot on The Canon Super Sensor C300 and Canon Super Sensor 5D MarkII. In association with Robin Bond Media and our Producer Ron Patrick and our Director Robin Bond. Also on this production was Gaffer Jesse Jaco and Grip/PA/Media Management Ben Rader. Time-Lapse shot on Canon 5D MarkII. Advantage Pilot RMHD from Sam Allen Productions,Inc. on Vimeo. DP/Cameraman on this running footage shot with The Canon Super Sensor C3oo in association with our producer Leah Wilson CIC and REALWORLD Marketing. Also our Director with Splash Visuals Adam Fowler. Honda CRV One Tank from Sam Allen Productions,Inc. on Vimeo. Honda Civic One Tank from Sam Allen Productions,Inc. on Vimeo. Vail Honda Classic from Sam Allen Productions,Inc. on Vimeo. 35MM film shoot with Jalbert Productions. Hawaii Time-Lapse # 2 from Sam Allen Productions,Inc. on Vimeo. This scene was shot with a Canon 5D Mark II during a Sizzle Reel shoot in Hawaii with Citizen Pictures. Hawaii Time-Lapse from Sam Allen Productions,Inc. on Vimeo. Eating Frenzy in Kennebunkport Maine from Sam Allen Productions,Inc. on Vimeo. Food eating challenge in Kennebunkport Maine for the Travel Channel & Citizen Pictures. Time-Lapse Storm from Sam Allen Productions,Inc. on Vimeo. Time-Lapse of a storm in the front range of Denver in 2012. Tacoma from Sam Allen Productions,Inc. on Vimeo. FJCruiser from Sam Allen Productions,Inc. on Vimeo. Bora Bora from Sam Allen Productions,Inc. on Vimeo. Golf Show from Sam Allen Productions,Inc. on Vimeo. Armed skiing from Sam Allen Productions,Inc. on Vimeo. April 10, 2012 Time-lapse from Sam Allen Productions,Inc. on Vimeo. Destination Golf Sizzel Reel from Sam Allen Productions,Inc. on Vimeo. From the playing fields of the National Football League to a helicopter high above the Arizona desert, Sam Allen has been shooting film and video for a wide-variety of clients for the last 25 years. Whether you need a cameraman to take aerials of a golf course, shoot while skiing along side an expert snowboarder or film a music video on location, you can trust Sam Allen to capture the experience.